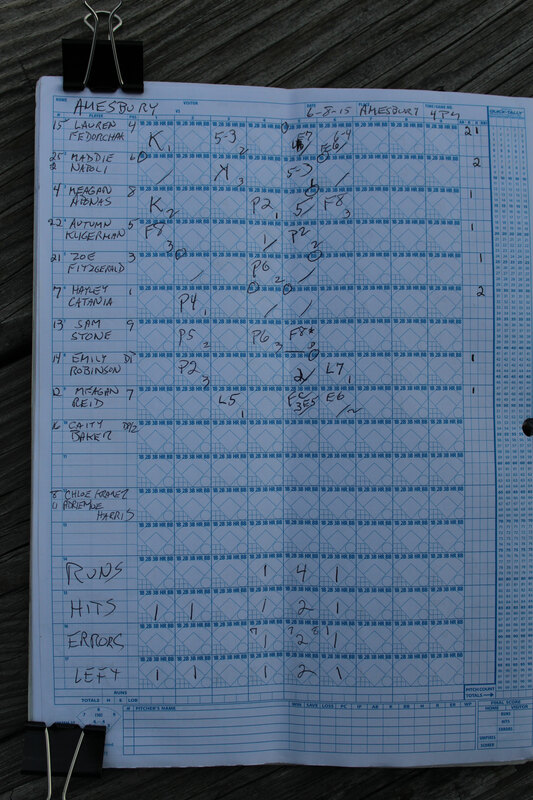 (Amesbury MA) Rockport built up a 4-run lead after three innings but the #1 seed Amesbury took over from there getting a 6-4 decision on Monday afternoon. The Indians (19-2) now advance to the D3 North semifinals on Wednesday afternoon (4PM) against Winthrop at Martin Field in Lowell. 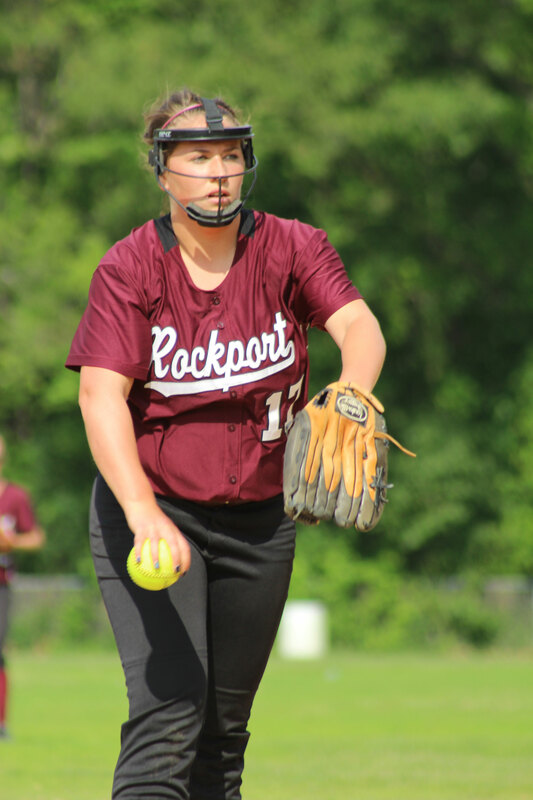 #9 seed Rockport (14-6) hit the ball hard (six hits in the first three innings) and benefited from two Amesbury defensive lapses to get ahead 4-0 after three innings. 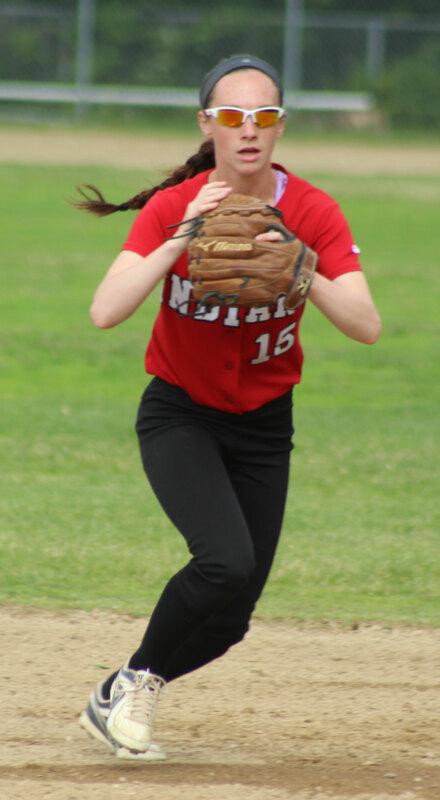 But after the third inning Amesbury tightened up their defense and took advantage of errors and wild pitches to get the lead in the fifth. An insurance run was added in the sixth. Hayley Catania, after not holding a runner on third which allowed her to score in the Rockport second, was masterful thereafter. In the fifth Hayley, protecting a one-run lead with a runner (Miranda Roller) on third, got a strikeout and a flyout to end the threat. Hayley at the bat? Timely. The freshman had two-out, RBI singles in the 4th and 5th. 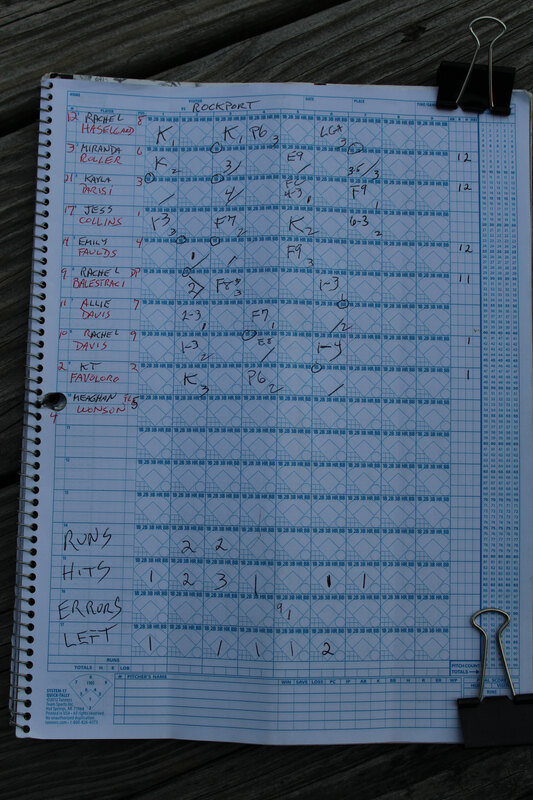 The game ended on a play at third. 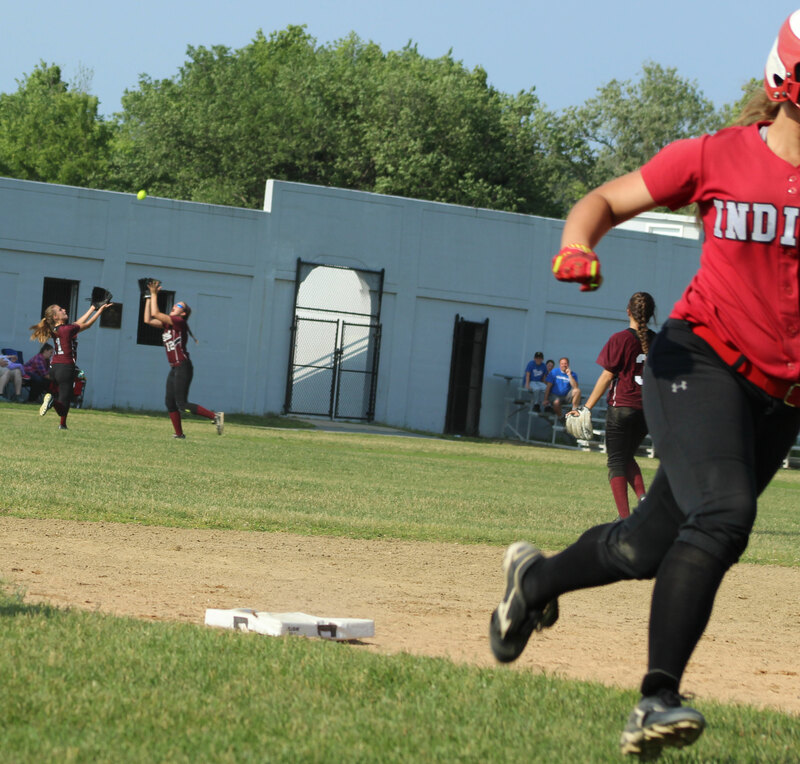 Jess Collins grounded out shortstop-to-first with one out but baserunner Miranda Roller (on second) decided to try for third after the out at first. Unfortunate decision. 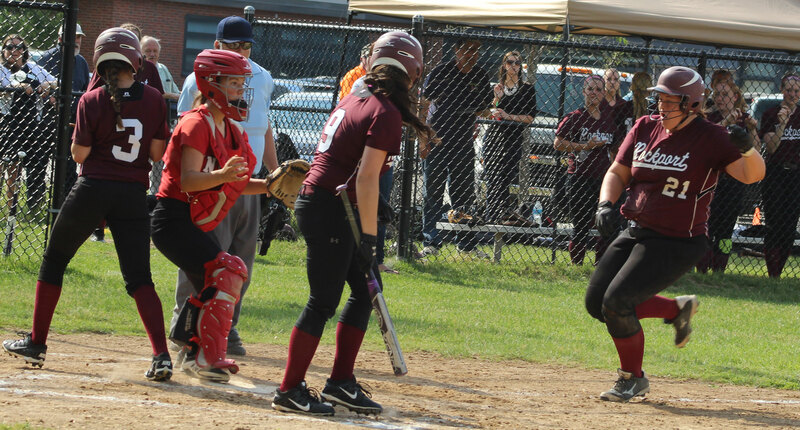 First baseman Zoe Fitzgerald fired a strike to teammate Autumn Kligerman at third and Miranda never came close to reaching the base. In the Rockport second, Rachel Balestraci doubled in Emily Faulds. Rachel was sacrificed to third by Allie Davis with one out. 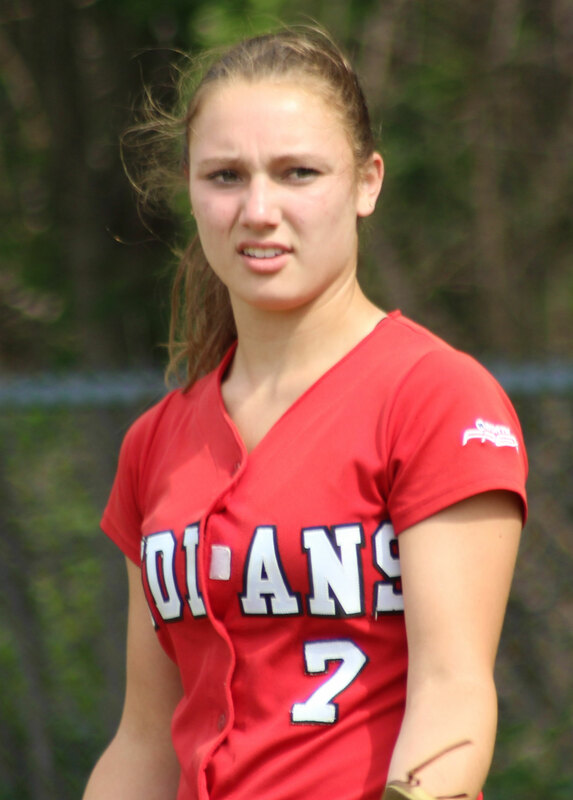 Allie’s sister Rachel grounded back to AHS pitcher Hayley Catania. 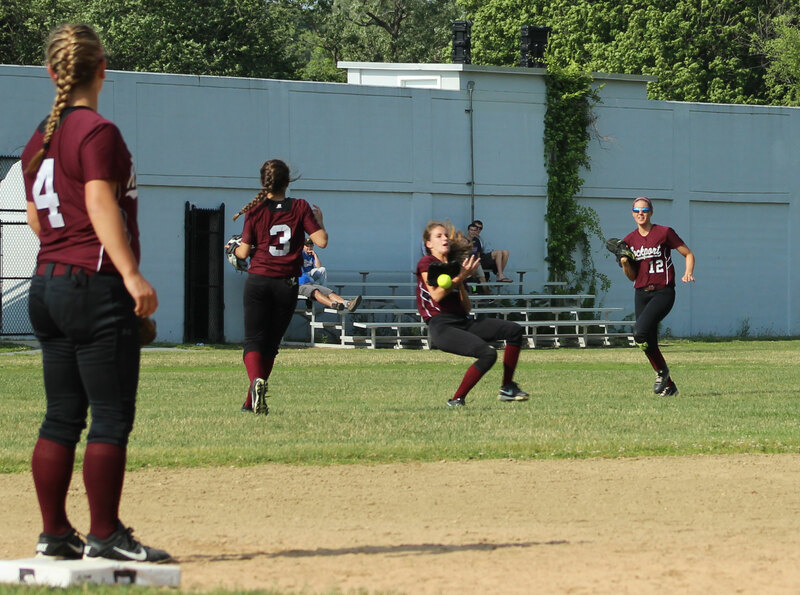 Instead of looking the runner back at third, Hayley threw to first which allowed Allie to score Rockport’s second run. 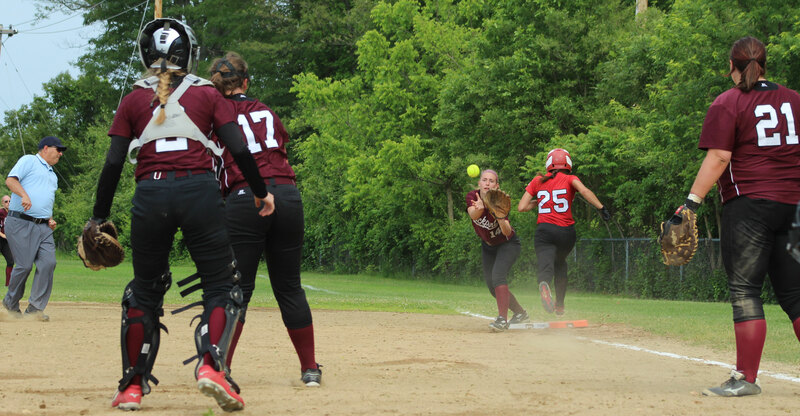 In the Rockport third, an Emily Faulds’ single to right with two outs drove in Miranda Roller. 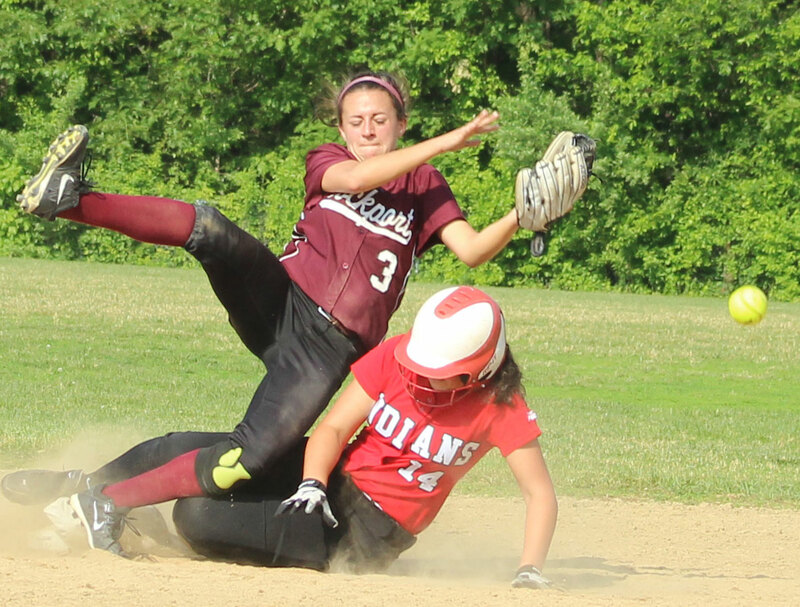 On the same play Kayla Parisi reached third and literally stole home unnoticed by the Amesbury infield. 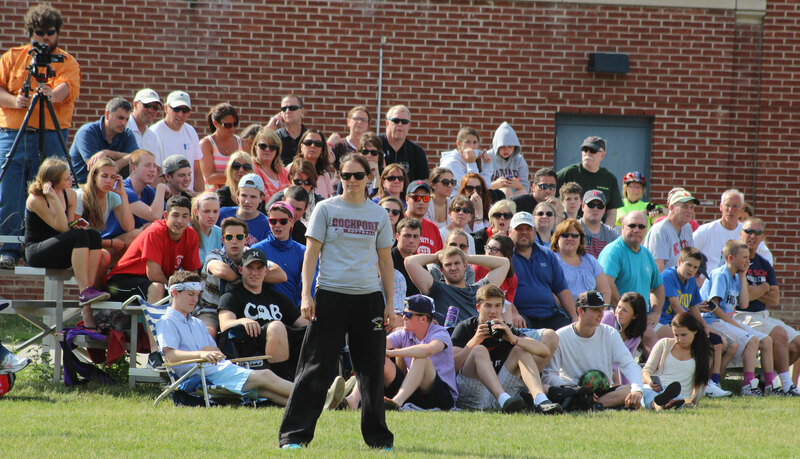 Meagan Aponas made a nice catch in center to end that inning. 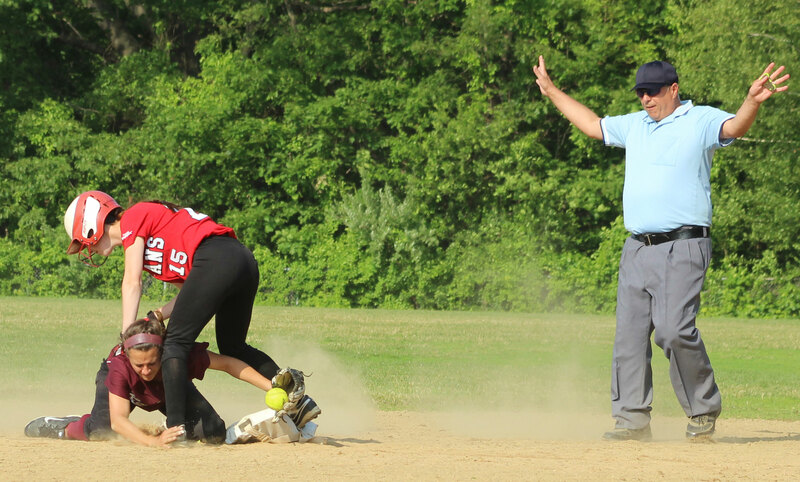 In the Amesbury fourth, Autumn Kligerman’s sinking fly to left fell off Allie Davis’ glove allowing Autumn to get second with two outs. Hayley Catania delivered Autumn. The Vikings still held a 4-1 lead but the Amesbury fifth would give them the lead. A walk, a play that wasn’t made at second, and a wild pitch all led to Indians’ runs. 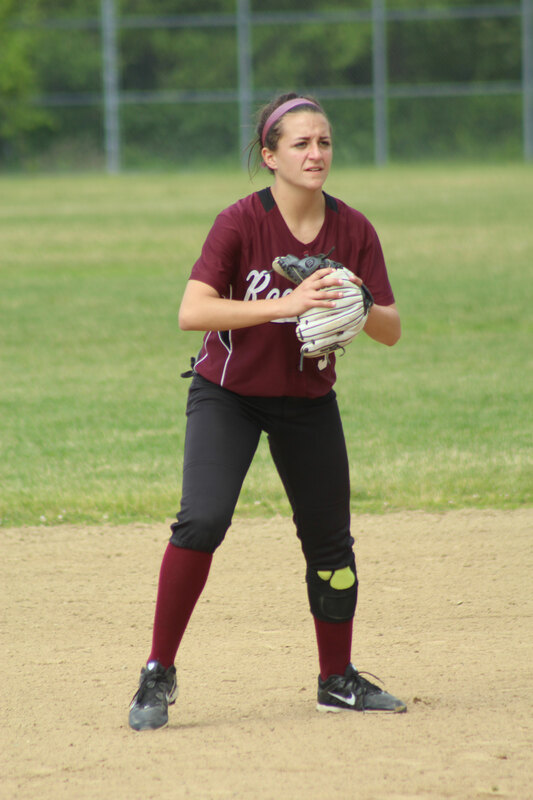 It was only a great running catch by RHS centerfielder Rachel Haselgard for the final out that kept the damage to four runs. 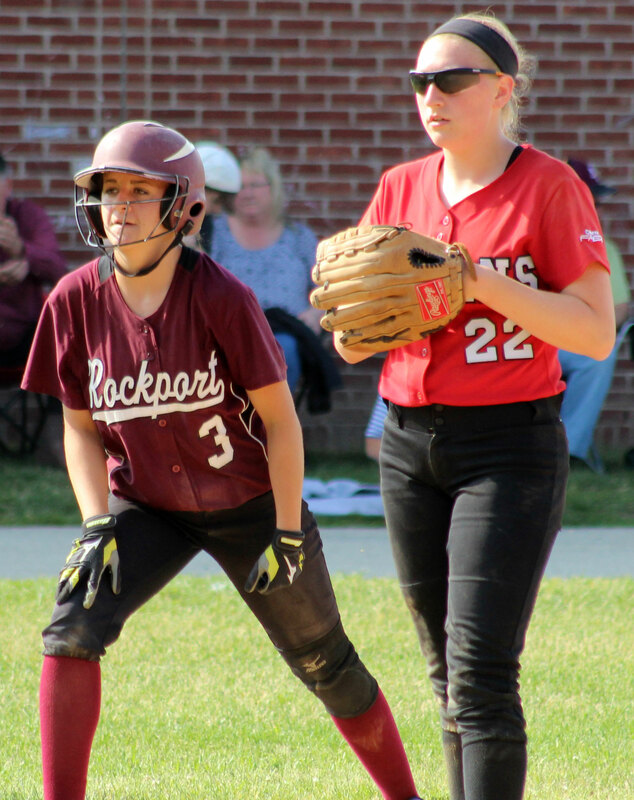 In the Rockport sixth, the Vikings had two on and two out when Rachel Haselgard drilled a liner to AHS shortstop Maddie Napoli. Now up 5-4 after five, the Indians added one more. 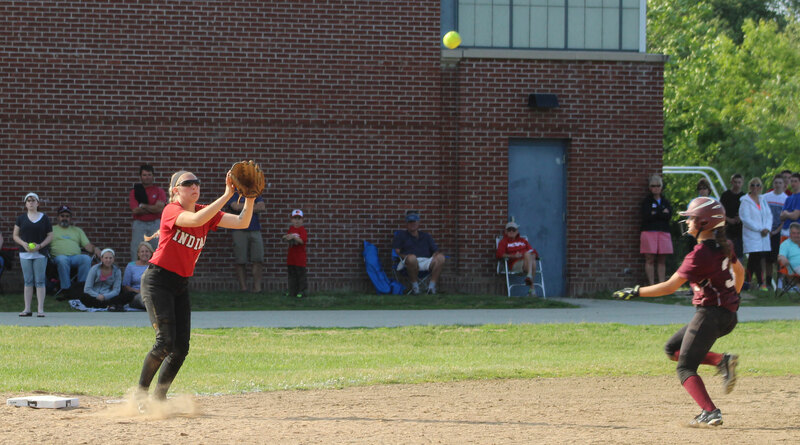 Megan Reid reached on an error but was cut down on Lauren Fedorchak’s fielder’s choice. 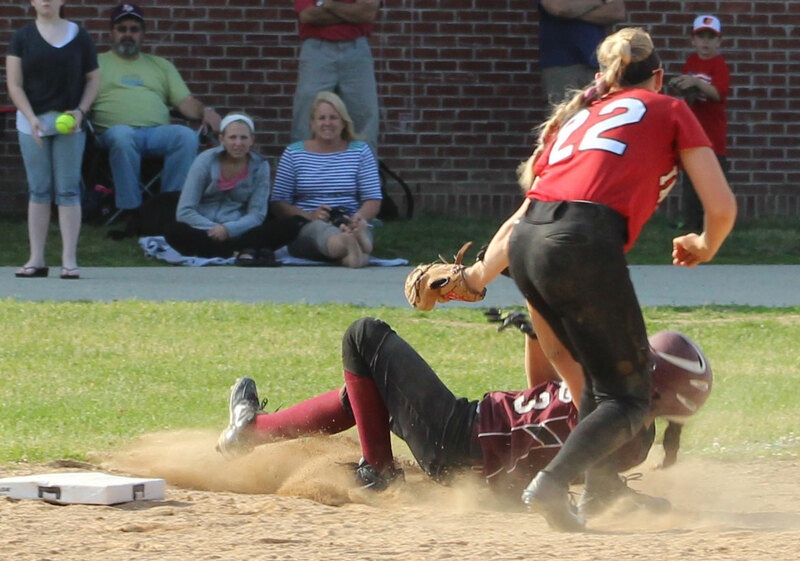 From there Lauren stole second and went to third on a wild pitch with two outs. 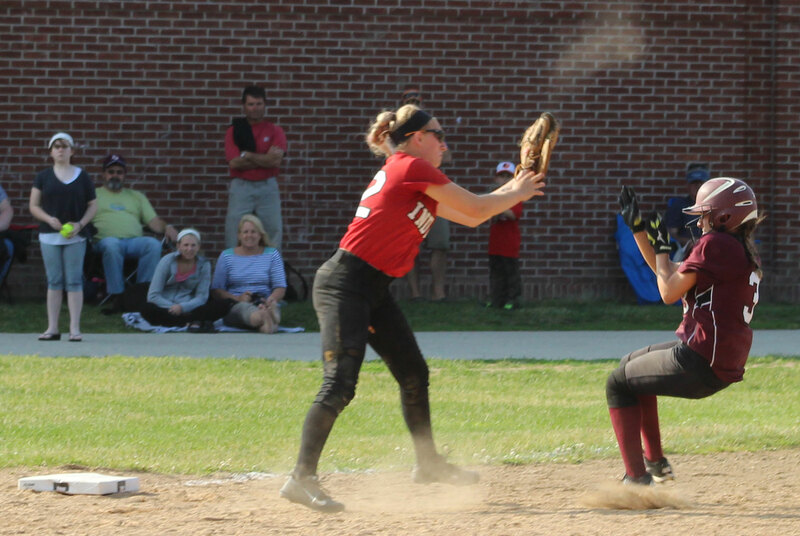 Maddie Napoli’s ground single to deep third scored Lauren. 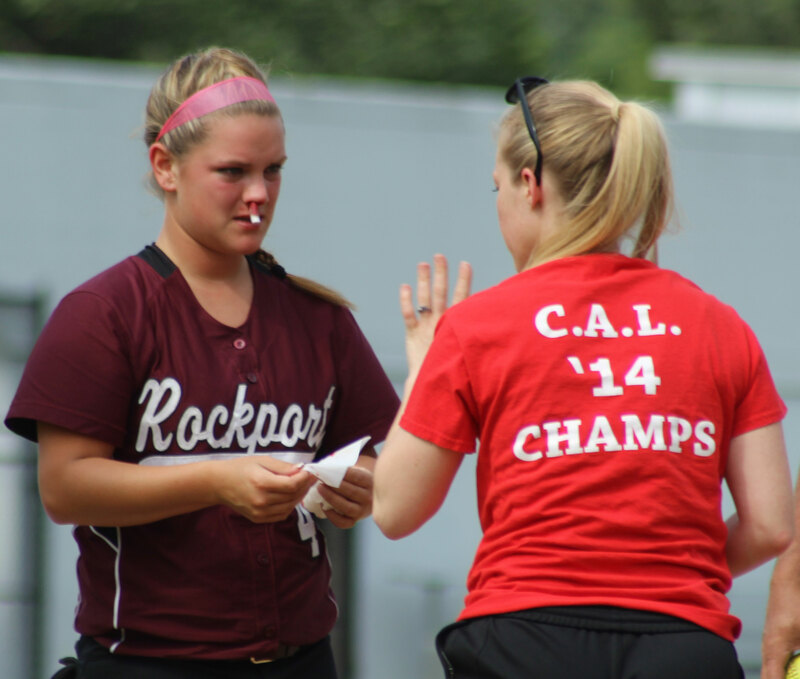 Meaghan Wonson was injured (nose) during Rockport’s pre-game infield practice but recovered in time to play the game. Yet another reason for infielders to wear masks. Rockport catcher KT Favoloro made several nice plays on foul pops. 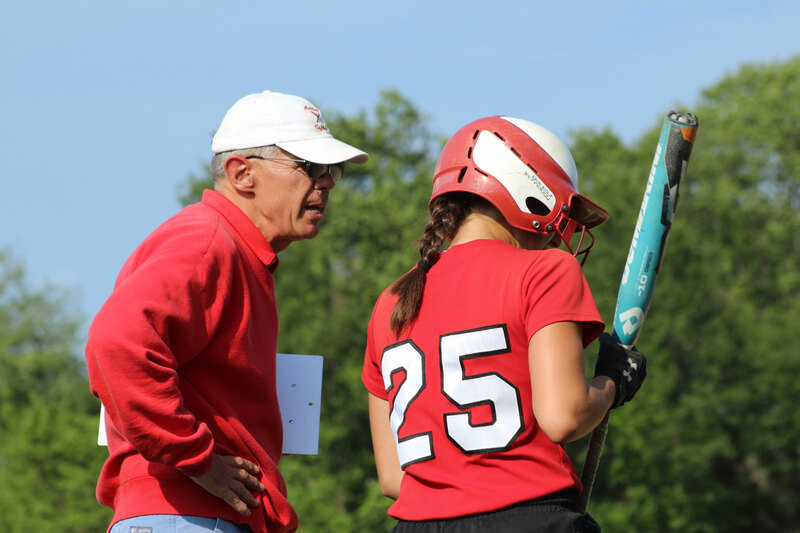 Amesbury defeated Rockport in April (14-9) and May (10-5). 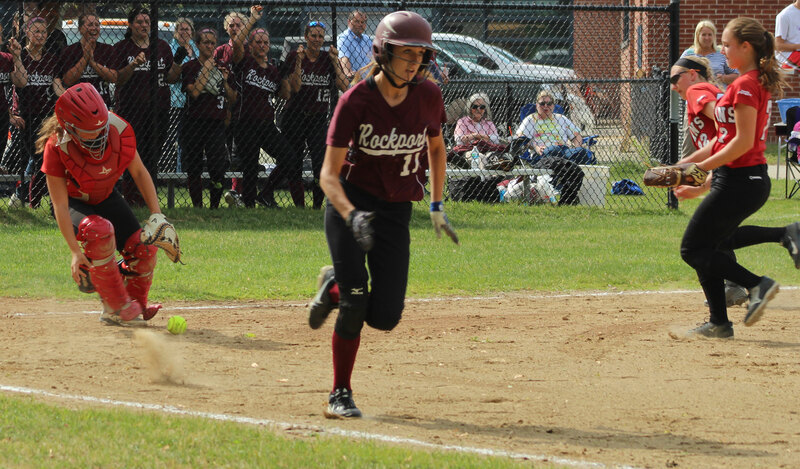 Miranda Roller had a 3-run homer in Rockport’s opening round win over Greater Lawrence.